Mississippi’s commissioner of public safety laid down the law prohibiting the purchase of Nike products by the state’s police officers following the company’s decision to make former NFL player Colin Kaepernick the face of their new ad campaign. In 2016, Kaepernick started the NFL player protests by taking a knee during the National Anthem to protest social injustice. 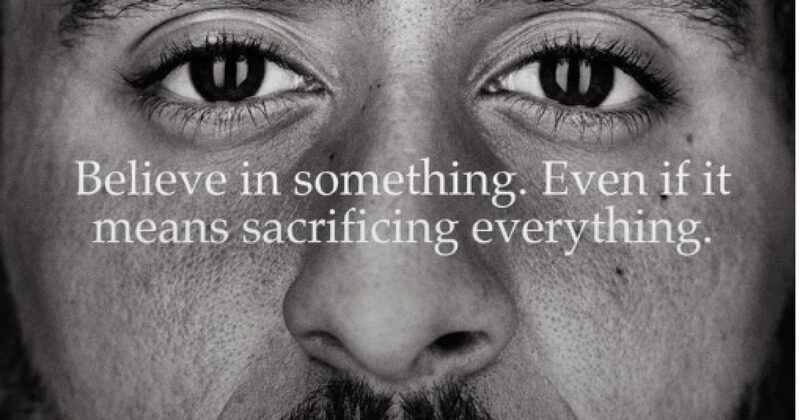 The announcement comes after former NFL quarterback Colin Kaepernick tweeted out a picture of Nike’s new campaign ad on Sept. 3. Kaepernick was the first NFL player to kneel during the national anthem in August 2016, sparking a trend in national sports where players kneel during the anthem rather than standing and placing their hand on their heart. Nike’s “Just Do It” campaign marks the 30th anniversary of the popular slogan. There is no question about Kaepernick’s outright disdain and contempt for law enforcement. Kaepernick donated $25,000 to radical group “Assata’s Daughters,” named after convicted cop-killer Assata Shakur. In 1973, Assata Shakur shot and killed New Jersey state trooper Werner Forester during a traffic stop. Shakur was subsequently arrested and given a life in prison jail sentence, but in 1979 she escaped. Members of the Black Liberation Army, a radical offspring of the Black Panther Party, staged her get away by taking prison guards hostage at gunpoint. She then fled to communist Cuba where she is living under political asylum, according to reports. Shakur is on the FBI’s most wanted list and is considered armed and dangerous. Kaepernick also wore socks depicting police officers as pigs.